Dogue de bordeaux. Dogue de bordeaux. Dogue de bordeaux. Dogue de bordeaux stud. Dogue de bordeaux stud. Dogue de bordeaux puppies. Dogue de bordeaux puppies. Dogue de bordeaux. Dogue de bordeaux. Dogue de bordeaux. Dogue de bordeaux stud. 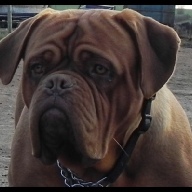 Dogue de bordeaux stud. Dogue de bordeaux puppies. 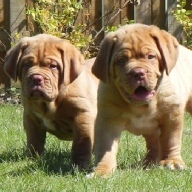 Dogue de bordeaux puppies. Dogue de bordeaux wolverhampton. Dogue de bordeaux wolverhampton. Dogue de bordeaux wolverhampton. Dogue de bordeaux staffordshire. Dogue de bordeaux staffordshire. 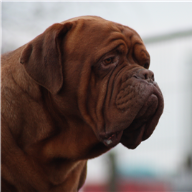 Dogue de bordeaux breeder. Dogue de bordeaux breeder. A selection of current and previous Donna Jay Dogues and other breeds. Please use this payment facility to pay for services or products agreed with the vendor Donna Jay. 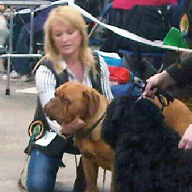 Hello I'm Donna Jay a licensed producer of Dogue de Bordeaux, situated in the rural countryside of Staffordshire. I have owned and loved this giant breed for over 11 years now and I'd like to share with you what I've achieved single handedly purely for the love I hold for the breed. Everyone who visits me compliment how clean and well kept they are, None are locked away they have paddocks to run in but most choose to laze around most the day, after all who wants to be locked away all day I certainly wouldn't!! All my DOGUES are well socialised, I'm a strong believer in this as it's crucial for them to get along with other animals from a young age as they don't stay small for long. I have never been interested in showing as my love drives me to Produce that's what I excel in..... Some of us are show men personally I prefer to create nothing less than very best and more and more show homes are contacting me as my DOGUES are winning. Over the years with all the customer feed back I've realised watching my babies grow and seeing pictures of them as fully developed adults they are true to type Bordeauxs!! Although they may not be related they are all ***consistent and Healthy***. This doesn't come over night it's years and years of experience and that's what I have under my belt. I've spent many sleepless nights, shed many tears and no expense is spared when it comes to maintaining the condition in my DOGUES. I want to share with you all my hard work and how it's now paying off, having many top 3 places in the biggest dog show in the world Crufts. Customer feedback is very important to me because how can anyone improve their standards without taking into account customers feelings, opinions, thoughts and ideas? *** A DOG IS FOR LIFE *** I mean that in every sense of the word. Here you will find information about my current Males including pedigree information and photo’s. 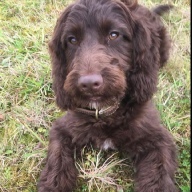 Here you will find information about my current Females including pedigree information…. Our latest arrivals and previous litters. 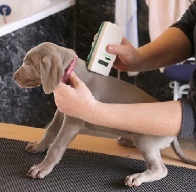 Micro chipping and Fertility scanning available. NEW LITTER HAS ARRIVED 19TH MARCH. "PRODUCING TOP QUALITY BORDEAUXS FOR CUSTOMERS WORLDWIDE"